Galare Thong Tower - Chang Khlan, Chiang Mai, Thailand - Great discounted rates! 6.6 out of 10 based on 435 verified user reviews via Agoda. Located in Chang Khlan, Galare Thong Tower is a perfect starting point from which to explore Chiang Mai. The hotel offers guests a range of services and amenities designed to provide comfort and convenience. Free Wi-Fi in all rooms, daily housekeeping, laundromat, kitchen, convenience store are there for guest's enjoyment. Comfortable guestrooms ensure a good night's sleep with some rooms featuring facilities such as television LCD plasma screen, sofa, towels, internet access ?ÛÒ wireless, internet access ?ÛÒ wireless (complimentary). Enjoy the hotel's recreational facilities, including golf course (within 3 km), before retiring to your room for a well-deserved rest. For reliable service and professional staff, Galare Thong Tower caters to your needs. 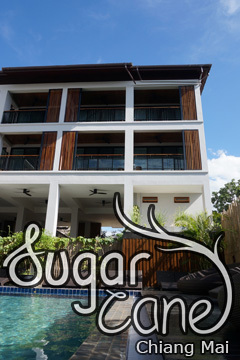 Not included: THB 200.00 Cleaning fee per stay . Galare Thong Tower - Chiang Mai classifies itself as a 3 star hotel.